Nantais, M. & Redekopp, R. (Eds). (2016). 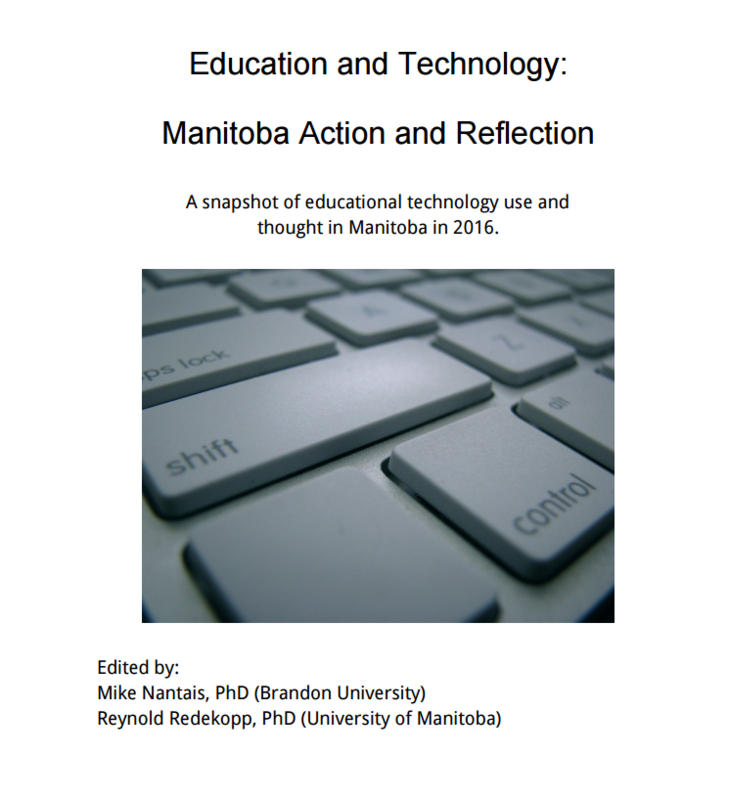 Education and technology – Manitoba action and reflection: A snapshot of educational technology use and thought in Manitoba in 2016. eBook available through iTunes or at Manace.ca. Kirk, J. & Nantais, M. (2016). Reimagine Lakeshore: A school division change initiative for the 21st century. In S. Choo, R. Vinz, D. Sawch, & A. Villanueva (Eds. 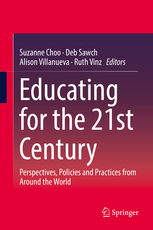 ), Educating for 21st Century Global Capacities: International Perspectives and Practices. Springer. Nantais, M. & Kirk, J. (2016). Stories about student engagement using social media in teacher education. In R. Iannacito-Provenzano & J. Vizmuller-Zocco (Eds. 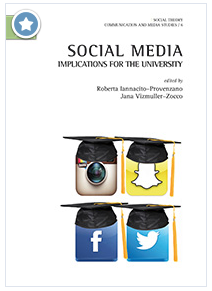 ), Social Media: Implications for the University. York University. Aracne Editrice: Rome. Nantais, M. & Kirk, J. (2012). Using Social Media to Engage Adult Students in Relevant, Timely, and Rich Learning Experiences. Journal of Adult Learning in Manitoba. 3, 33-40. Gawletz, C., Nantais, M., & Terry, M. (2012). 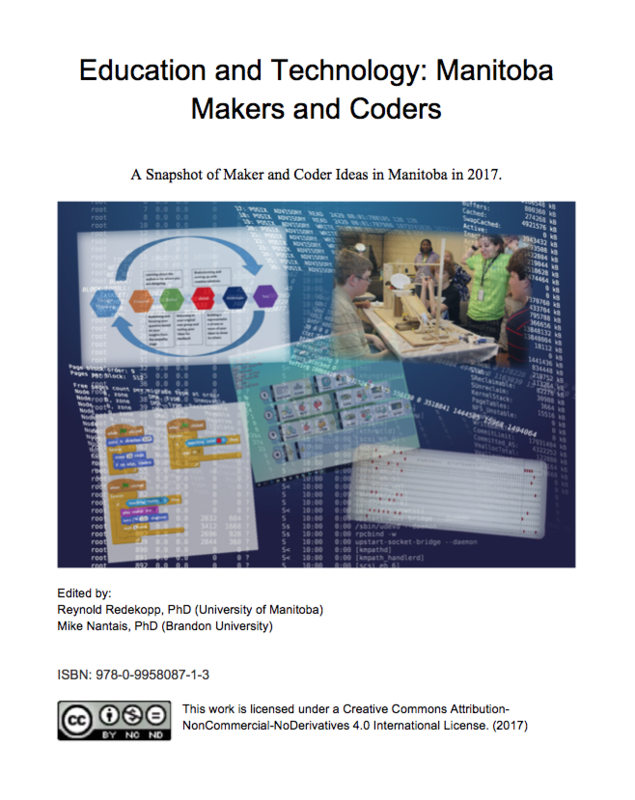 Online Course Delivery in Manitoba High Schools: Implications for Adult Education. Journal of Adult Learning in Manitoba. 3, 54-71. Nantais, M. & Kirk, J. (2012). Using social media to engage teacher candidates in relevant, timely, and rich learning experiences. Proceedings of the Ninth International Conference on Self-Study of Teacher Education Practices. August 15-19. Herstmonceux Castle, East Sussex, England. Nantais, M. & Cockerline, G. (2010). Internet filtering in schools: Protection or censorship? Journal of Curriculum and Pedagogy. 7(2), 51-53. Nantais, M. & Kirk J.. (2016). 1:1 Computing in a rural high school: A case study. CAP Journal. Fall 2016, 38-41. Kirk, J. & Nantais, M. (2016). Engaging educators in action research. CAP Journal. Fall 2016, 15-17. Osiname, A., Kirk, J., Nantais, M., Martell, J., & Peters, L. (2014). Data driven decision-making: The Principal as a key agent. CAP Journal. Winter 2015, 11-13. Gamey, L., & Nantais, M. (2012). Creating a Culture of Critique, Justice & Care: Vision & Action in Teacher Education. The MERN Journal, 5, 20-25. Nantais, M. (2012). Social media in the classroom: Its time has come! Reflections, 12, 32-37. Nantais, M., & Gawletz, C. (2011). Research report: Inquiry into Technology-Based Distance Education Delivery in Grades Nine to Twelve Schools in Southwestern Manitoba. BU Journal of Graduate Studies in Education. 3(2), 5-9. Cockerline, G. & Nantais, M. (2009). Are all our teacher candidates equally digital native? The MERN Journal, 3, 50-59. Nantais, M., Gawletz, C. & Terry, M. (2009). Inquiry into technology-based distance education delivery in grade 9-12 schools in southwestern Manitoba. BU CARES. Brandon, MB: BU CARES. Nantais, M. (2012). Teaching is sharing. ManACE Journal. 30(2), 6-7. Nantais, M. (2012). Pearltrees: A visual social bookmarking tool. ManACE Journal. 30(2), 13. Nantais, M. (2010). A twitter tale: One educator’s journey & reflections. ManACE Journal. 30(1), 12-13. Nantais, M. (2010). The iPad in education. ManACE Journal. 30(1), 14. Nantais, M. (2009). Internet filtering in schools: are we protecting or harming our children? ManACE Journal. 28(2). Nantais, M. (2009). (2009). The iTunes store: a wonderful educational resource. ManACE Journal. 28(2). Nantais, M. (2009). Book review; Teaching for tomorrow by Ted McCain. ManACE Journal. 28(1), 1-4.